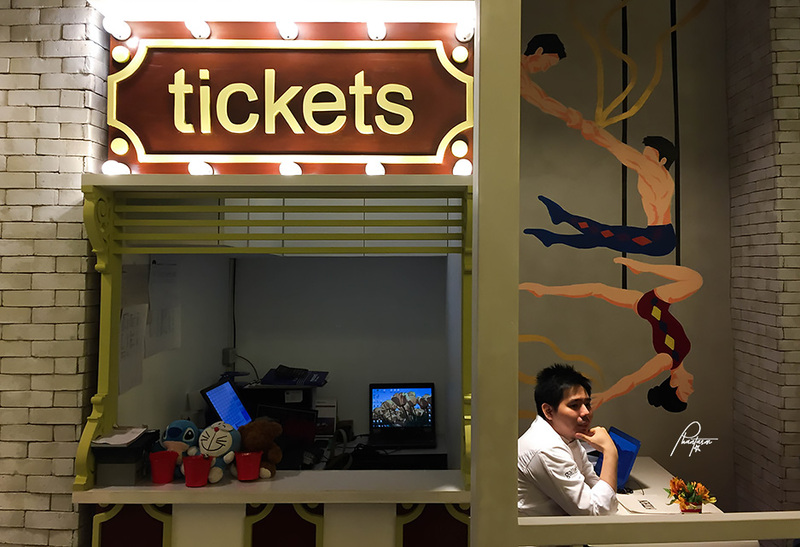 I had an invite to try out Carnivale in S Maison, Conrad Hotel. Lucky enough to try out Chef Mikel's new venture. 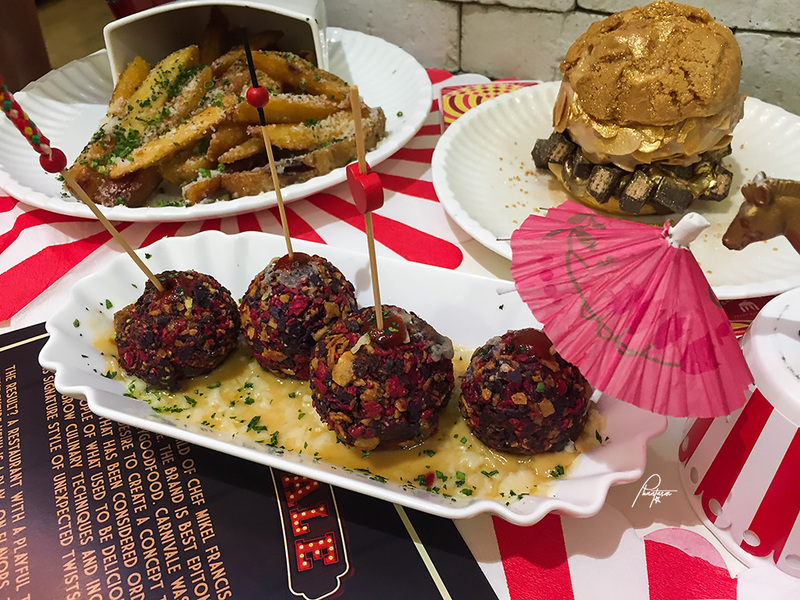 Carnivale is the brain child of Chef Mikel Francis Zaguirre of Locavore fame. 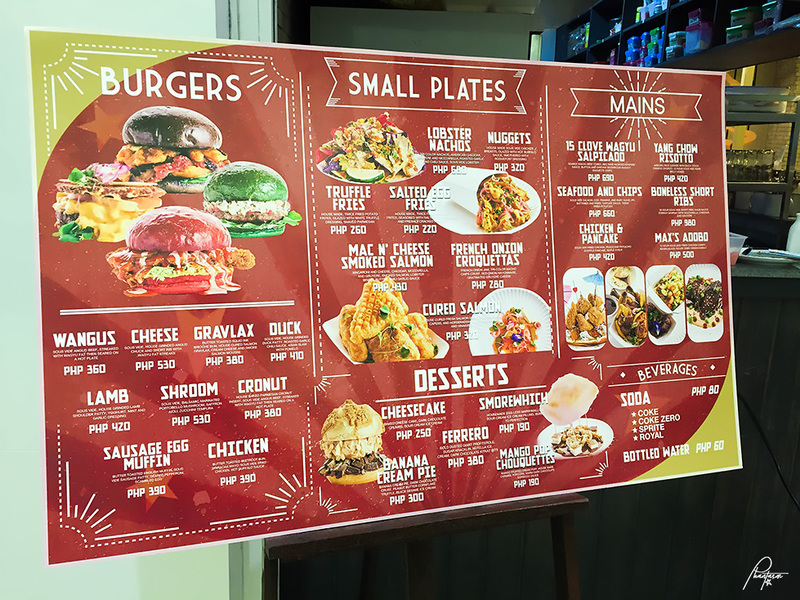 The brand is best epitomized by its tagline: #CrazyGoodFood. 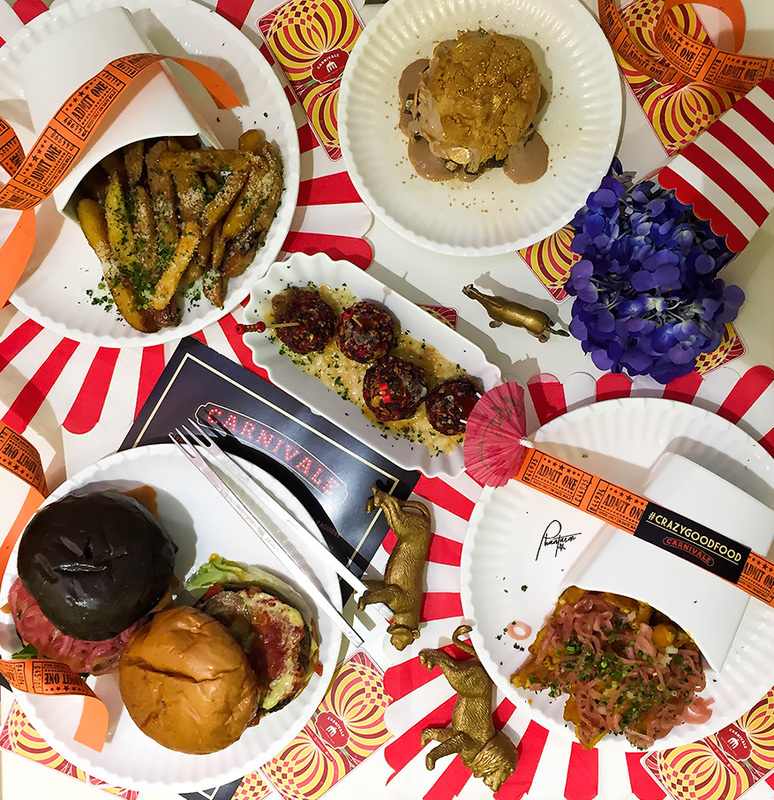 Carnivale was born out of Chef Kel's desire to create a concept that will elevate food that has been considered ordinary while reminding people of what used to be delicious by employing high-brow culinary techniques and incorporating his signature style of unexpected twists in food fusion. The result? A restaurant with a playful take on its offerings. 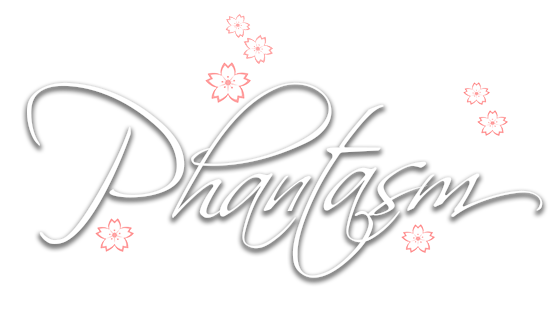 The entire menu is a play on flavors, temperature, textures and colors making every dish not just a gastronomic masterpiece but also perfectly social media worthy. 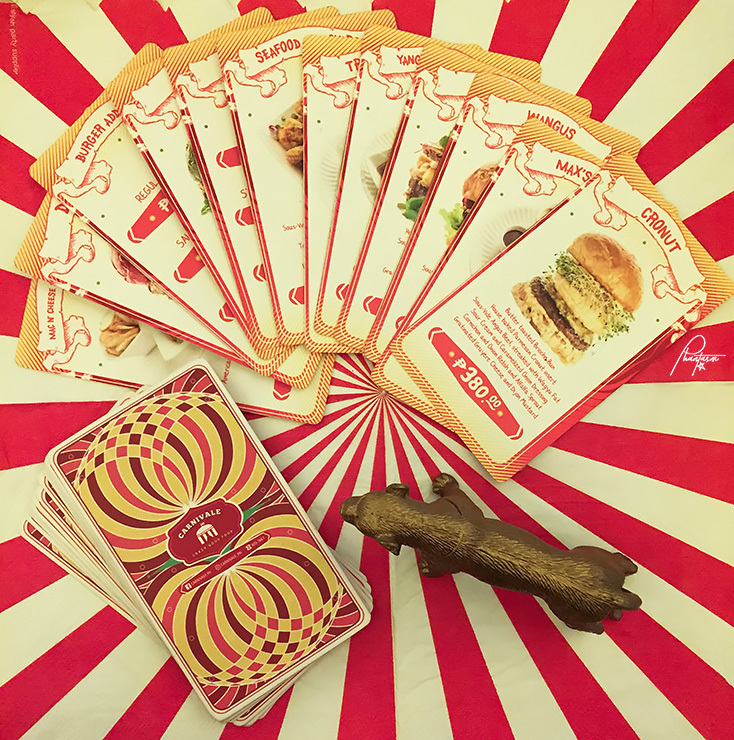 Such is lucidly evident in its flagship line of burgers with items like the cronut burger and the cheese. An impeccable play on flavors is apparent in the mains with the yang chow risotto. 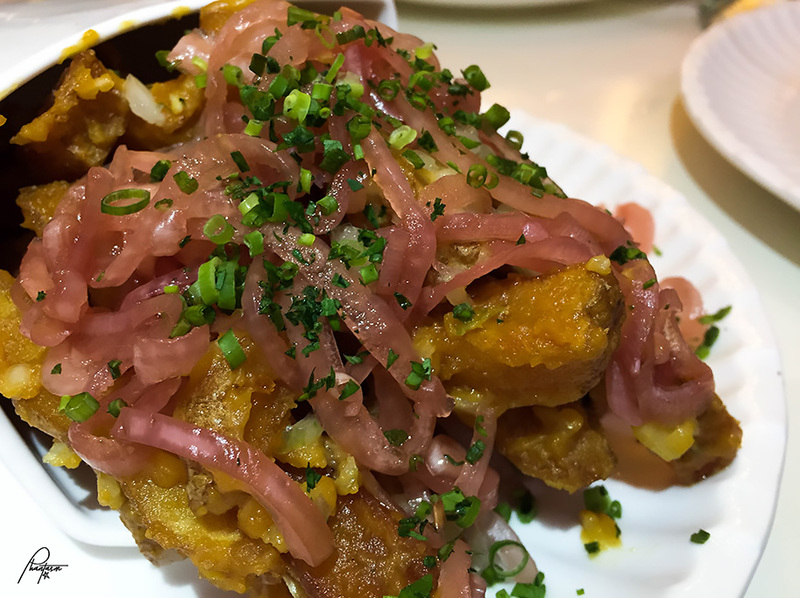 Two of the most flavorful cuisines in the world married into a dish. 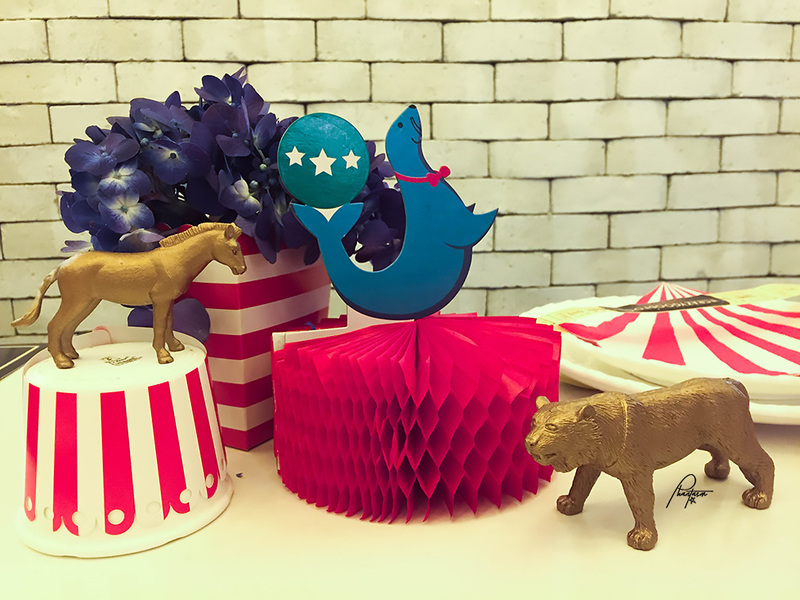 Spectacle comes in the form of a dessert at Carnivale. 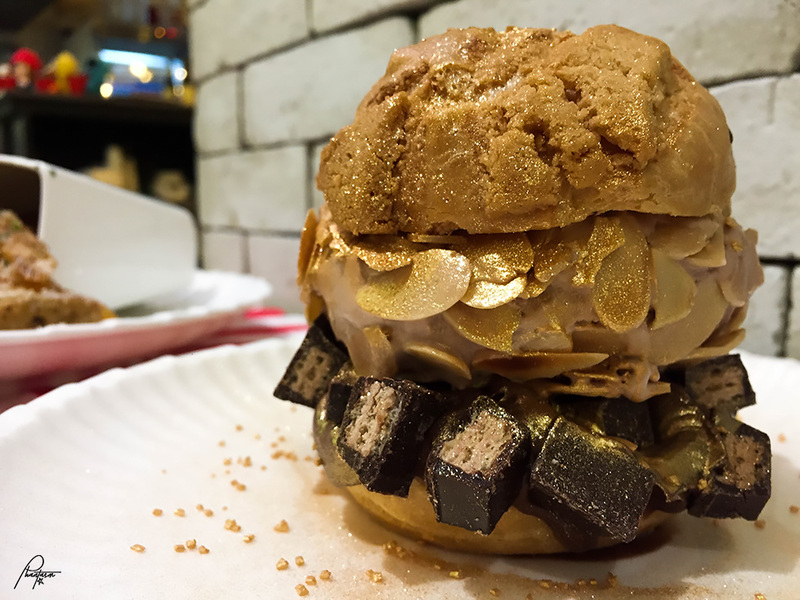 The Ferrero Burger is a golden treat not just for the eyes but the taste buds as well. 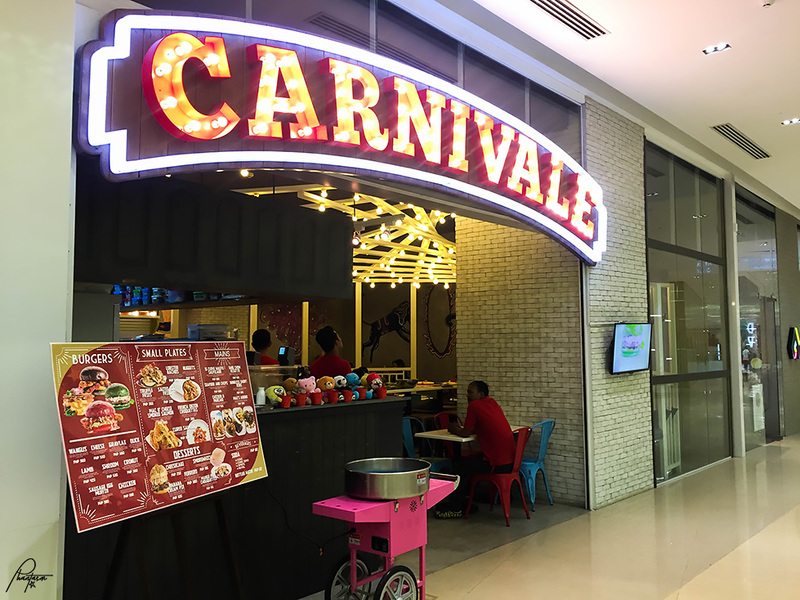 Fanfare and novelty aside, Carnivale's primary purpose is to serve topnotch food in terms of quality and taste. This is why only fresh prime choice ingredients are used while food processing and preparations are all done in-house to ensure quality. A sous-vide machine is employed by the kitchen to establish consistency in cooking and to lock in flavor and moisture at the same time. 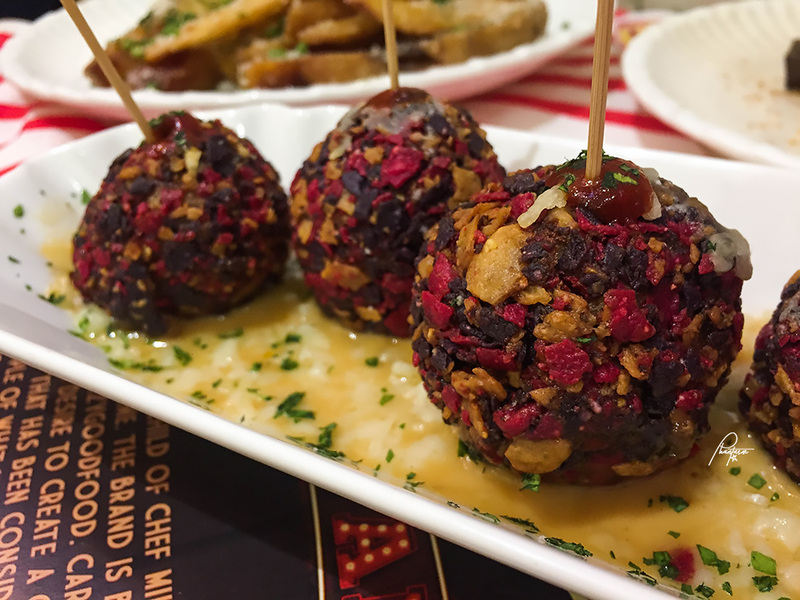 All these make eating at carnivale an experience, a wonderous experience. 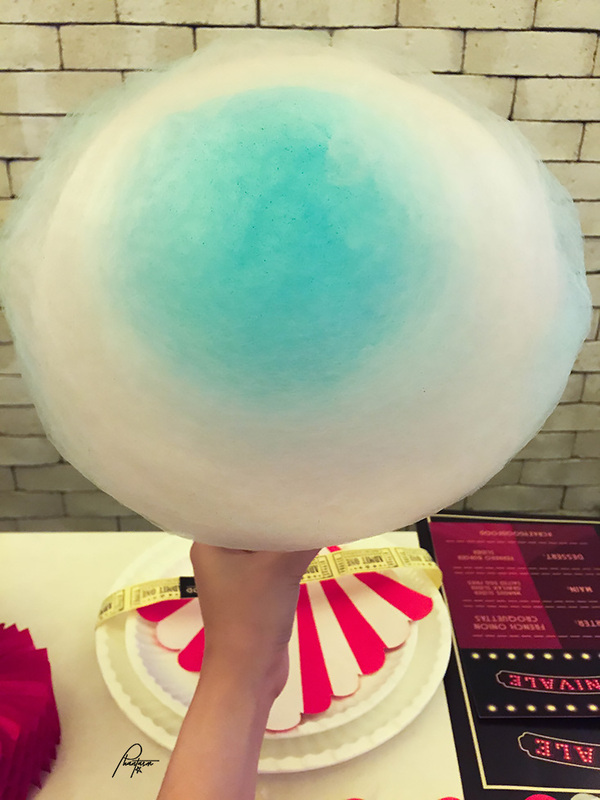 Upon entering, they gave us a complimentary cotton candy. Makes you have that carnival experience. I'm amazed how their menu was imitated from tarot cards. From this point, I can already say that they did well with their concept. While waiting for the dishes to be served, they also demonstrated how they make their mayonnaise. French Onion Croquettas. French onion jam, red onion mayonnaise, gratinated gruyere cheese, tri-color nacho crust. I liked the mustard-mayo sauce, it's good. The combination of the tri-color nacho crust makes it an interesting multi-colored croquetta. There is also a balance between its salty and sour (sauce) taste. Wangus. Butter toasted brioche bun, sous-vide angus beef, streaked with wagyu fat, two-hour tomato confit, gratinated yellow cheddar, onion relish. 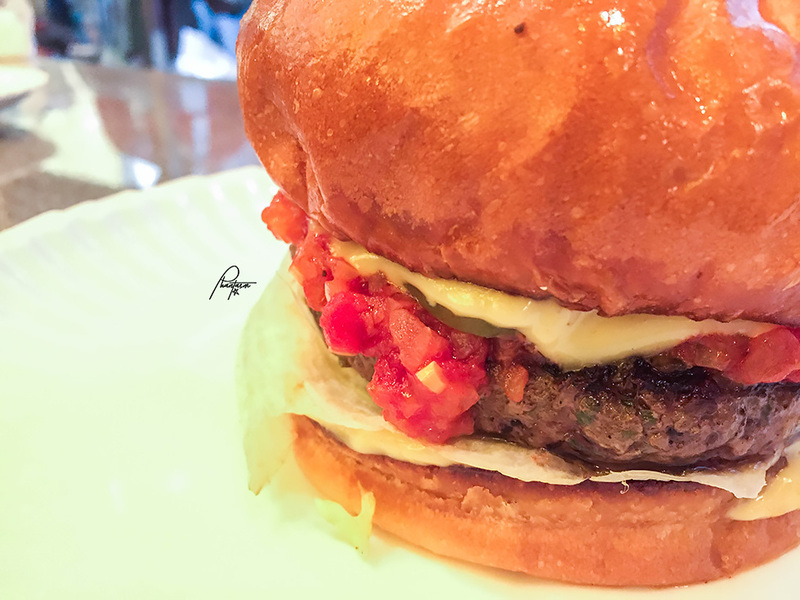 The patty was definitely fatty, juicy and tender. Again, I would like you guys to consider your blood pressure before taking this. It's called wangus because it's a combination of angus and wagyu. The bun is surprisingly served crunchy. 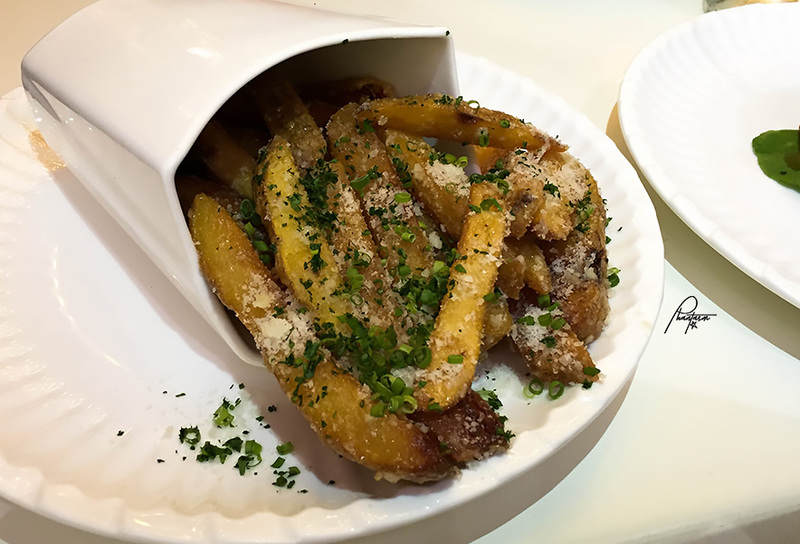 Salted Egg Fries. 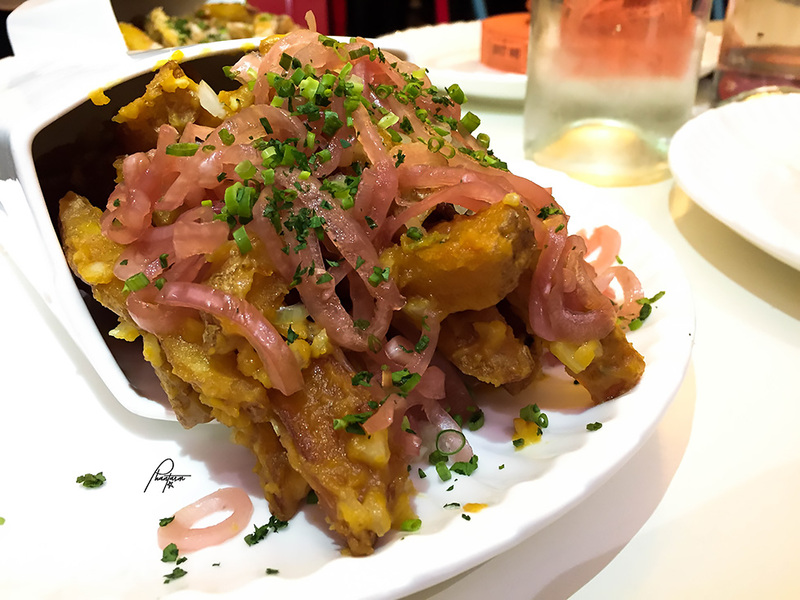 House made twice fried potato frites, seasoned with salted egg sauce, pickled red onion. 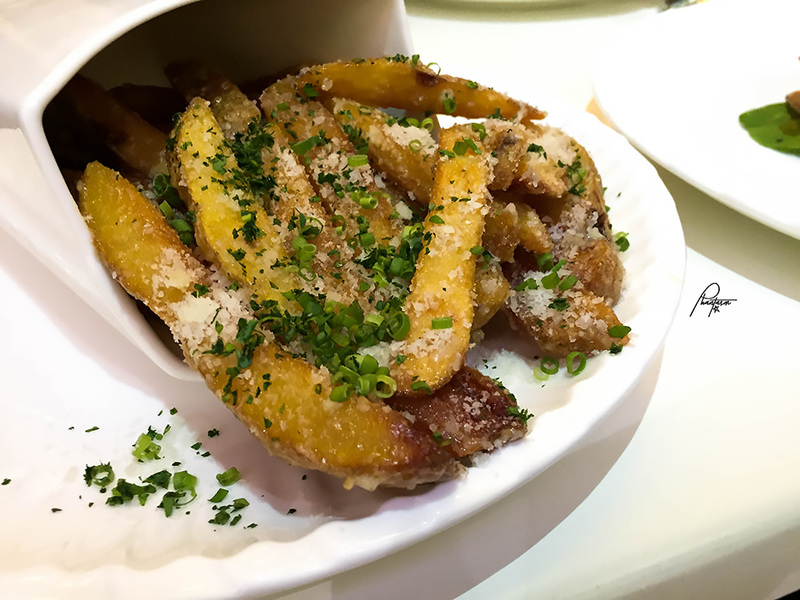 I like the texture of the salted egg fries and how it isn't too salty. It was just right. Gravlax. Butter toasted squid ink briohe bun, house-cured salmon gravlax, cream cheese and smoked salmon mousse, fresh rocket leaves and pickled red onion, honey mustard glaze and onion tulle. There was something sweet in this dish. 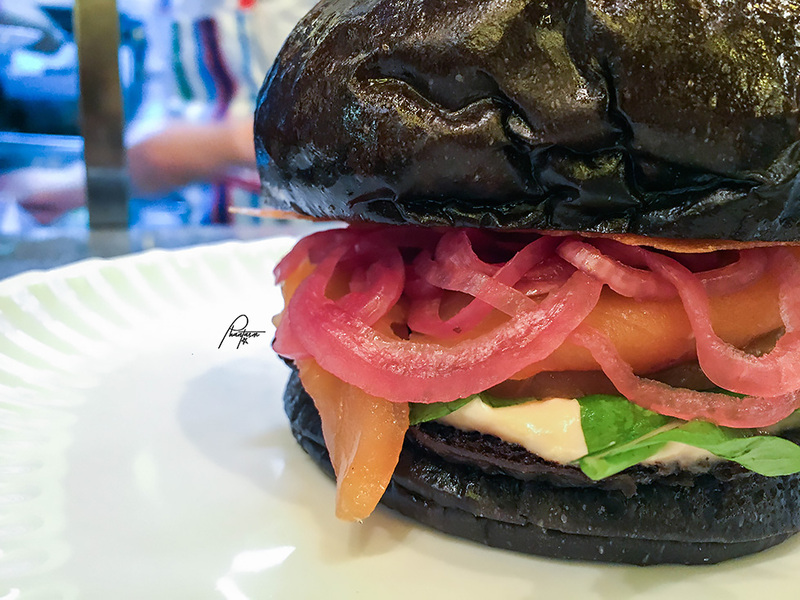 It was creative of them to use squid ink in the bun. It was not outstanding for me, though. Truffle fries. Taste was subtle. Ferrero. Gold dusted giant profiterole and sugar kracklin, dark chocolate and Kahlua ganache, toasted almond flakes, Nutella ice cream, dark chocolate KitKat bits. 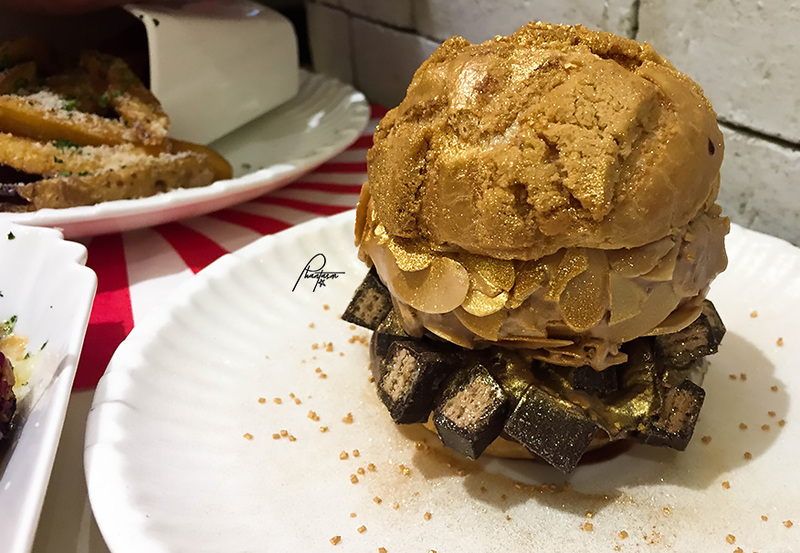 Instagrammable, gold-covered dessert. The gold was tasteless, though. It was an average dessert for me, yet plus points for the creativity. The dishes were okay to me but I would say that they were on the pricey side. It's quite justifiable, though, considering the location and ingredients. 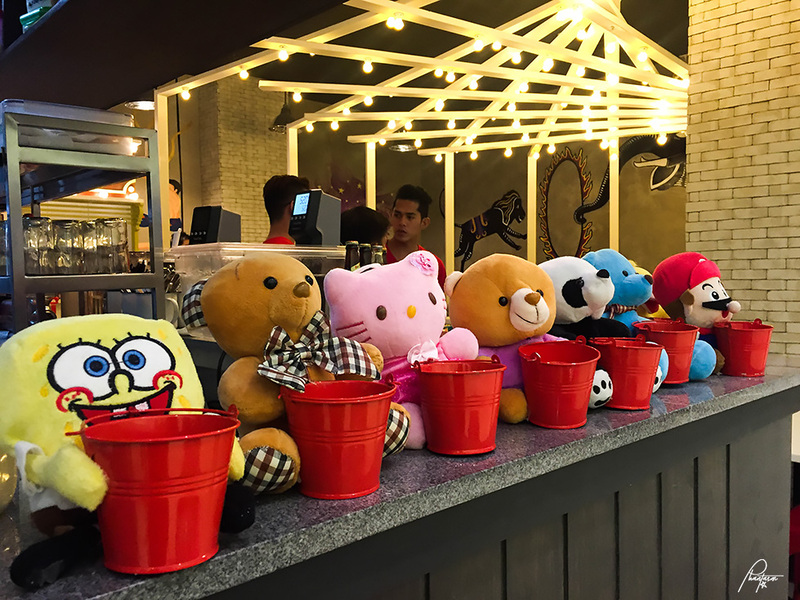 So far it's also the only restaurant in S Maison that I would say that would catch the attention of children, and maybe even the kids at heart.